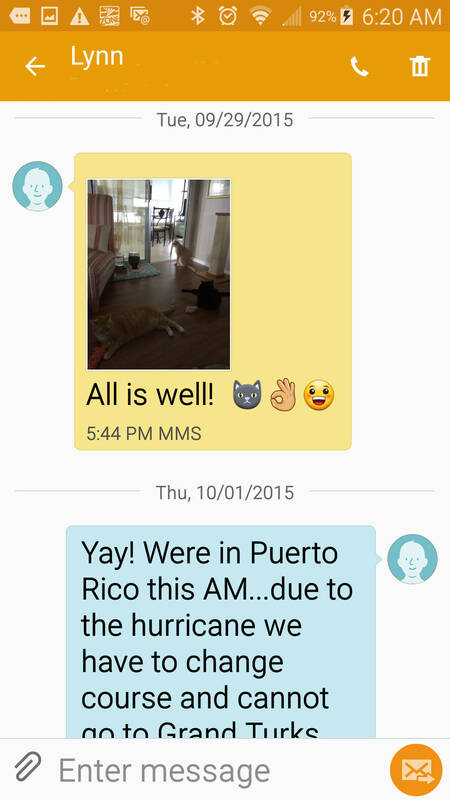 We had two of Rose’s friends taking care of our cats while we were on our cruise. 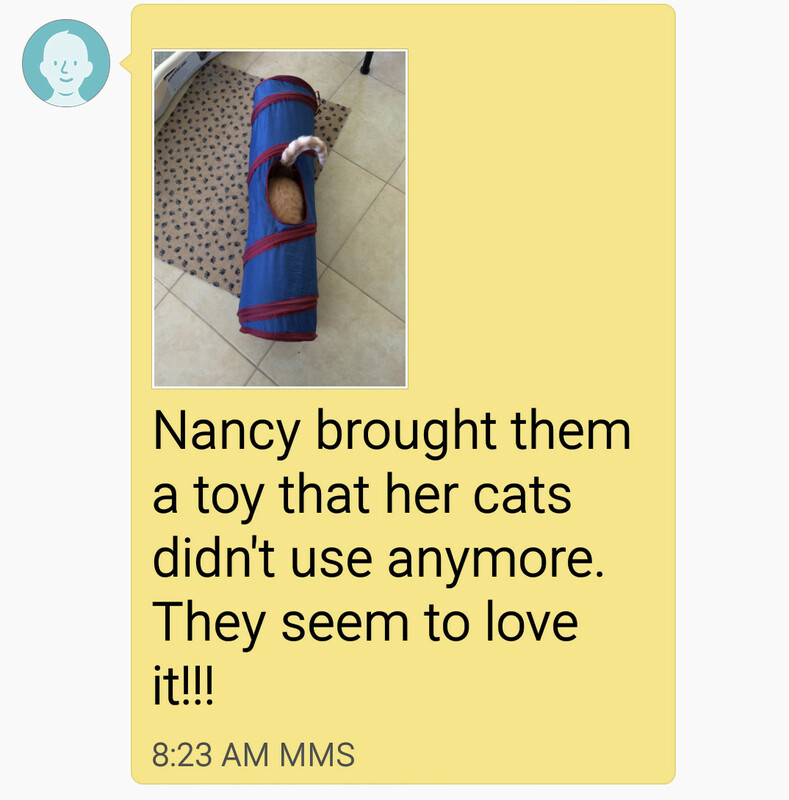 Lynn would come in the morning and Nancy would come in the afternoon (or vis versa). 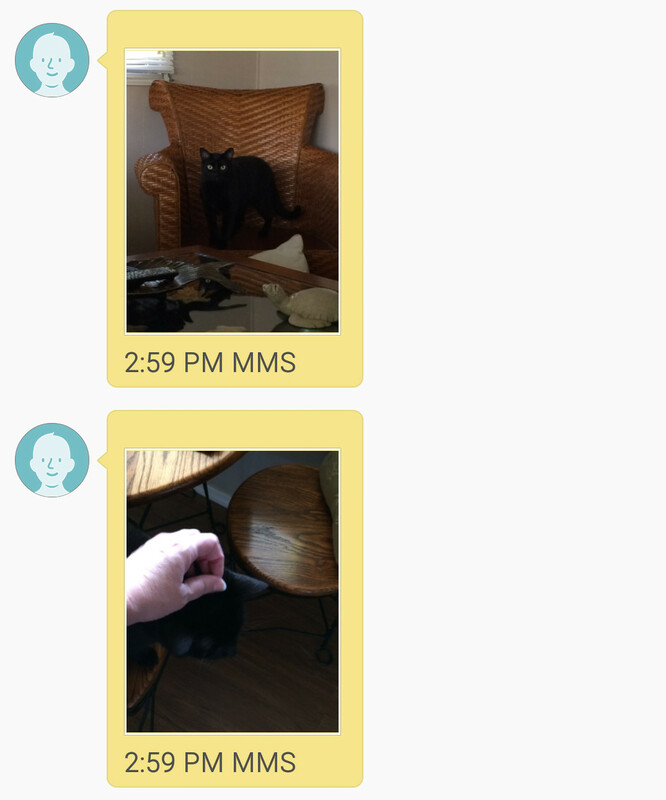 Lynn took pictures and sent us updates throughout the week and while we were not able to receive texts most days, it was a relief to know our cats were doing well on the days we did see them, which was Saturday while we were waiting to leave, Thursday when we were in Puerto Rico and Sunday when we returned. 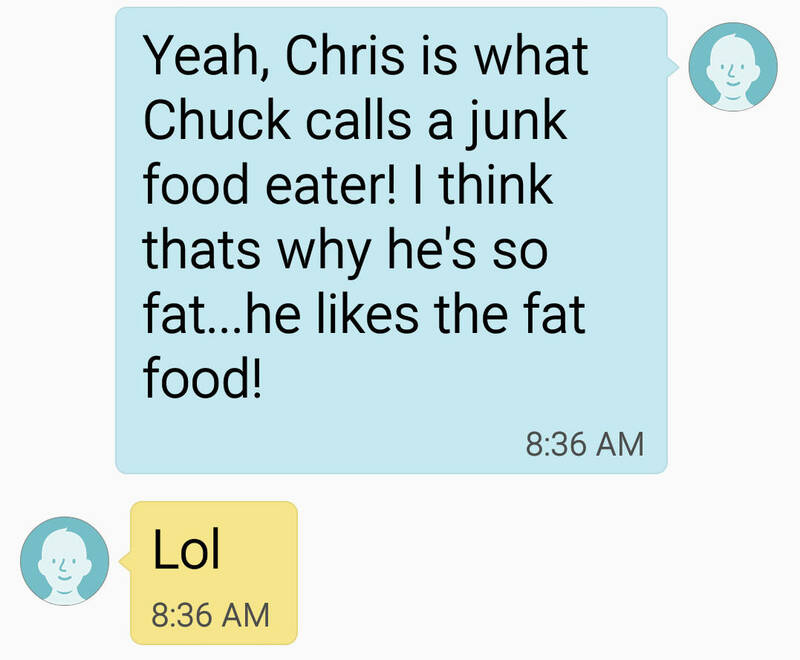 I copied some of the texts from Rose’s phone to share with you. 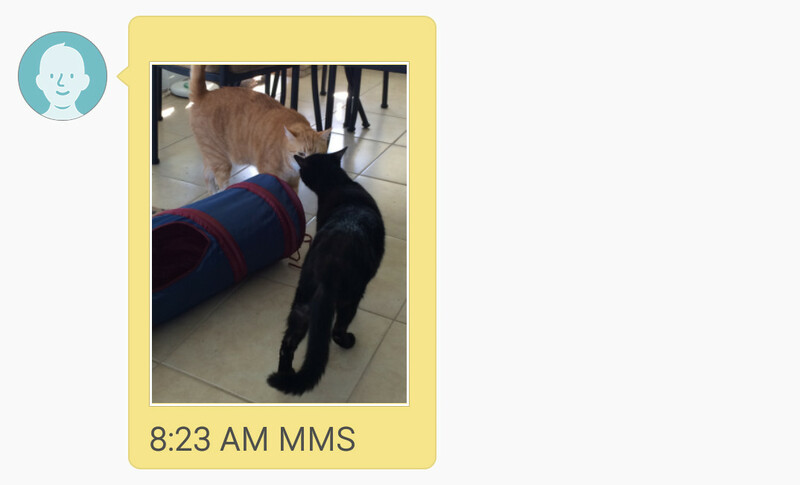 Thank you Lynn and Nancy for taking such good care of our boys. 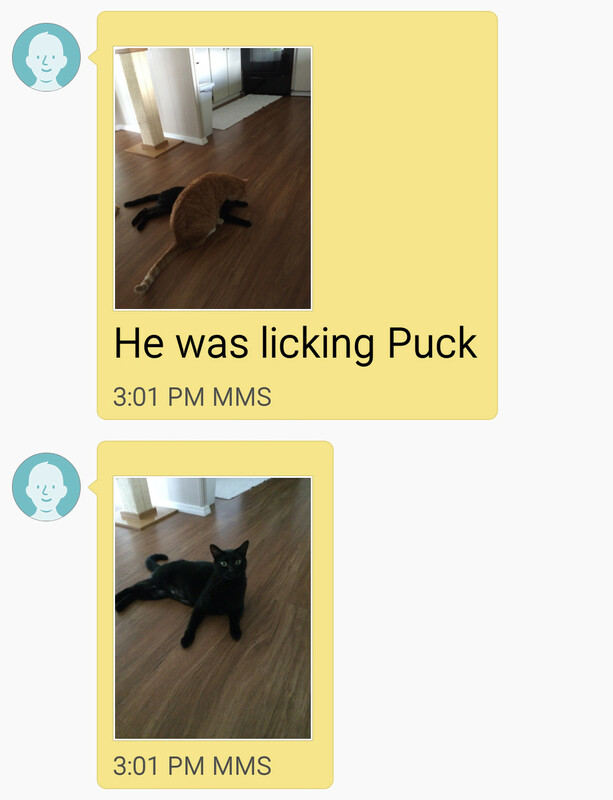 Does anyone else get updates from pet sitters like this? 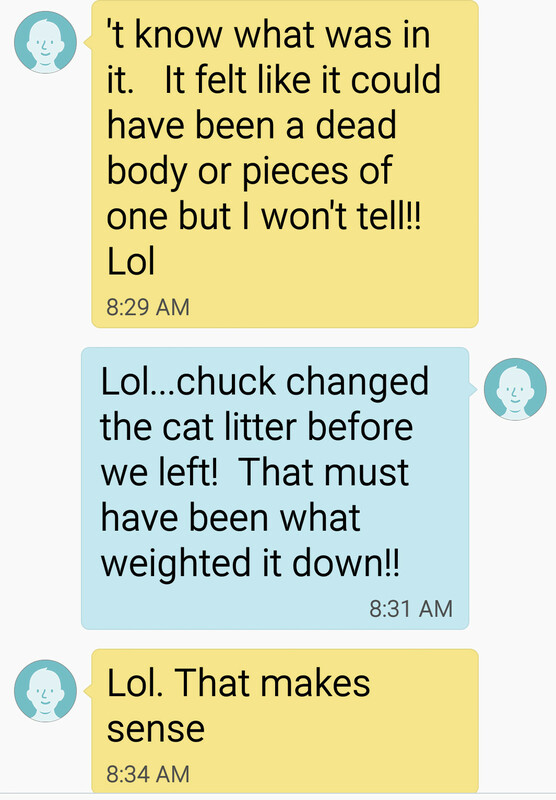 This entry was posted in Uncategorized and tagged Cats, pet sitter, pictures, texts, vacation on October 12, 2015 by Charles Huss. They love their new tunnel. 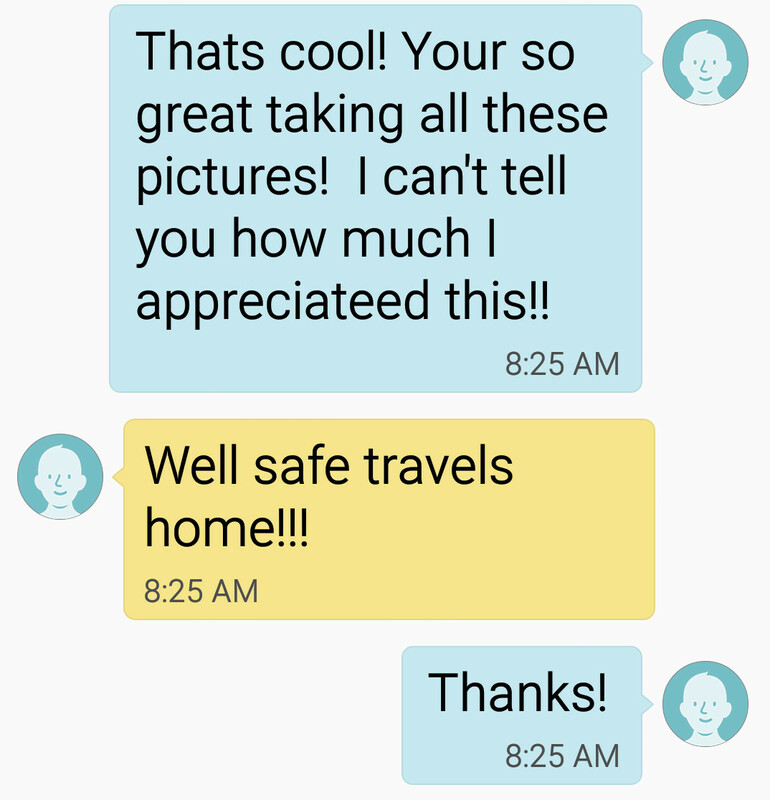 A simple photo goes a long way. Those were great reports! 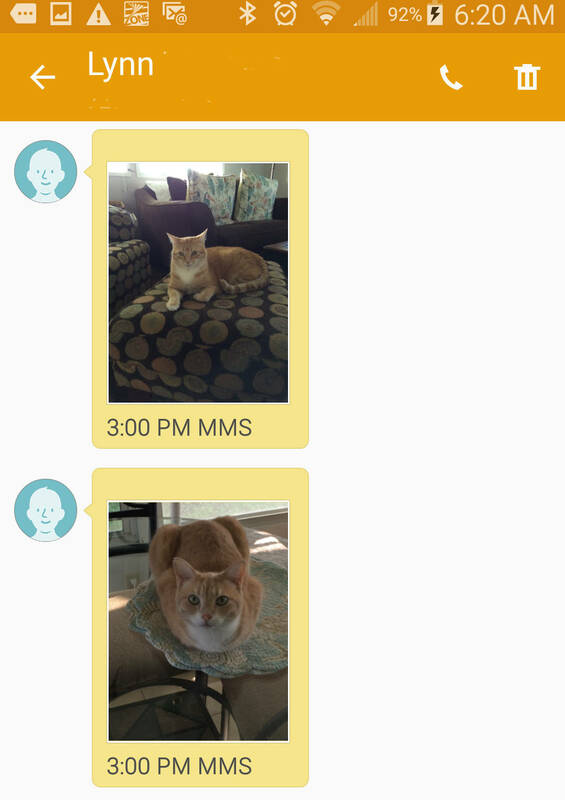 Our pet sitter sends my human and I emails, texts and photos of Binga and Boodie when we’re away at cat shows. 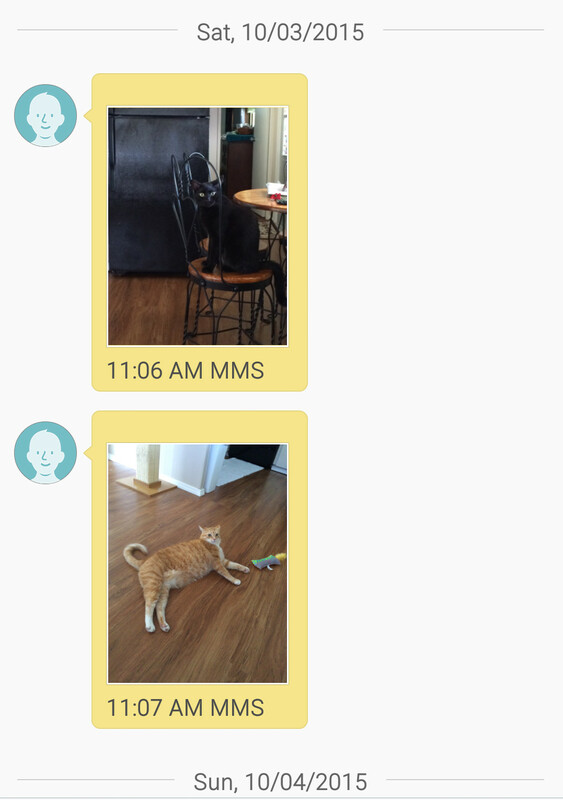 That’s a good cat sitter. 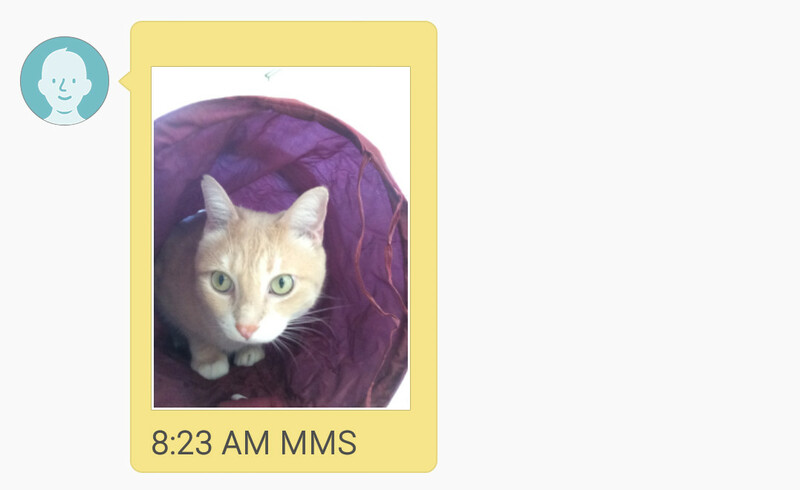 Looks like the sitters took super great care of the boys – including a new tunnel toy!!!! 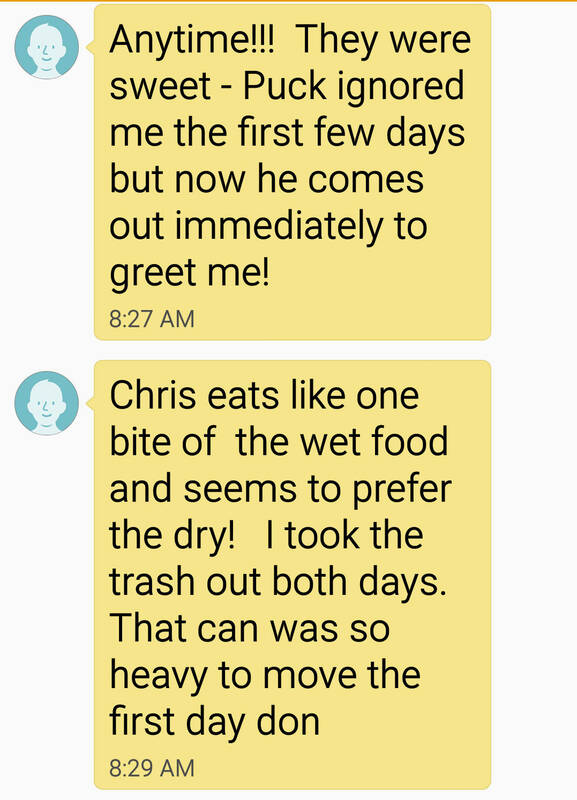 We take Sammy to the kennel when we’re going on a trip – they spoil him rotten. I’m glad you found a good place. Dat’s pawsum. Glad y’all had such wunnerful peeps lookin’ after da fur kids. Mommy dusn’t take many twips cuz weez not have money fur them, but where ever she goes, we go. So no sitters here. I hope your mom gets a chance to go somewhere nice. 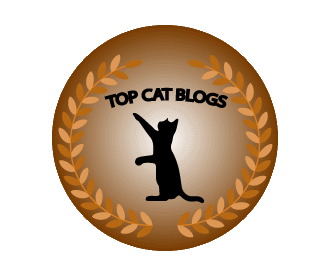 I would love to go to BlogPaws. I have never been able to go… so far. OMC It’s soooooo much fun. And there’s so much to learn and so many peeps and anipals to meet. It’s a whirlwind and over way too soon. But we do hope to go back again. Hopefully we will get a chance to meet there. Dat wuld be soooo cool. Paws cwossed. 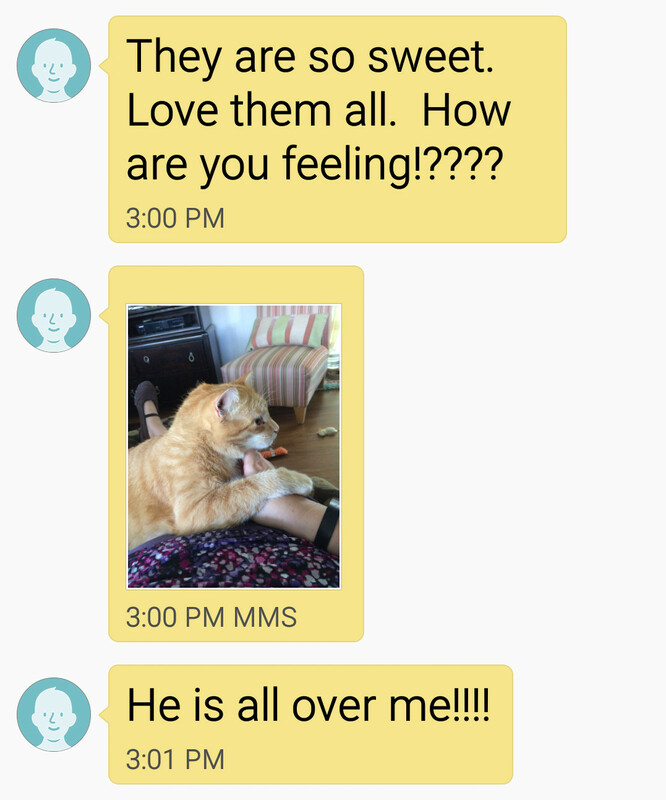 It was nice that your sitters sent you texts like that. 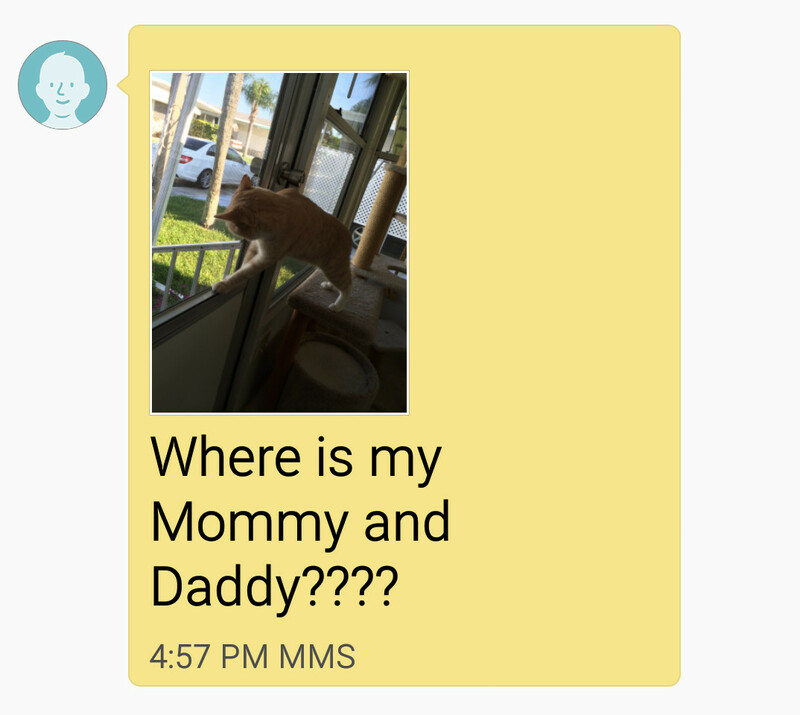 Our sitter will leave the mom notes…that she sees only after she is home. Those are so cute!!!! What a great sitter ya got there! Thanks. 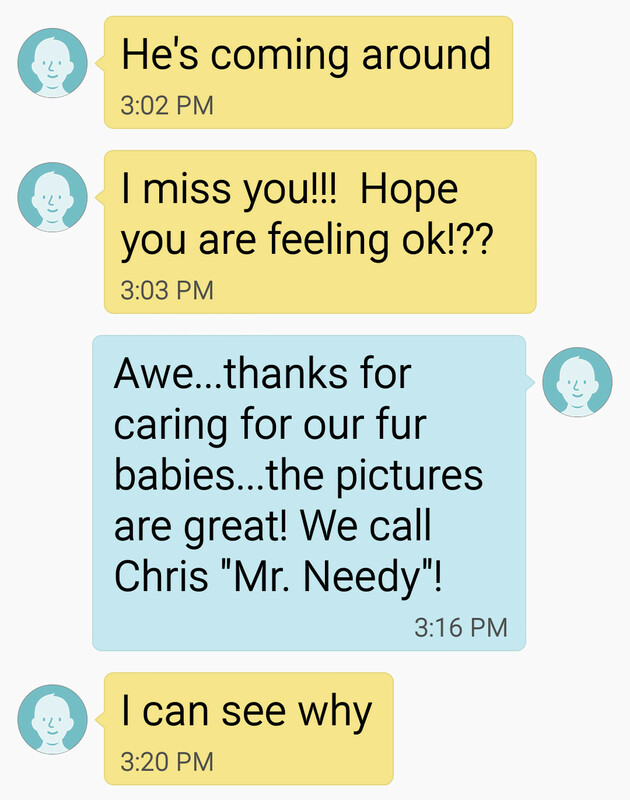 We had two sitters and they were both amazing.